Two perky single jigs on tinwhistles from Ronan and Desi. 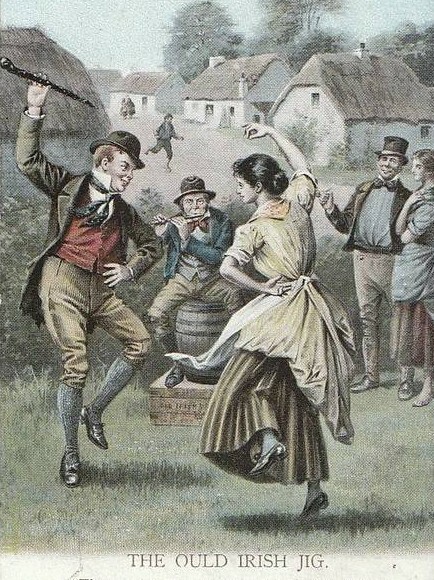 The single jig was the classic outdoor Irish Jig of the 18th and 19th Centuries – an athletic vertical dance with vigorous stamping and complex aerial steps – where the man capered in front of his partner with arms flung high and much finger-clicking and heughing. 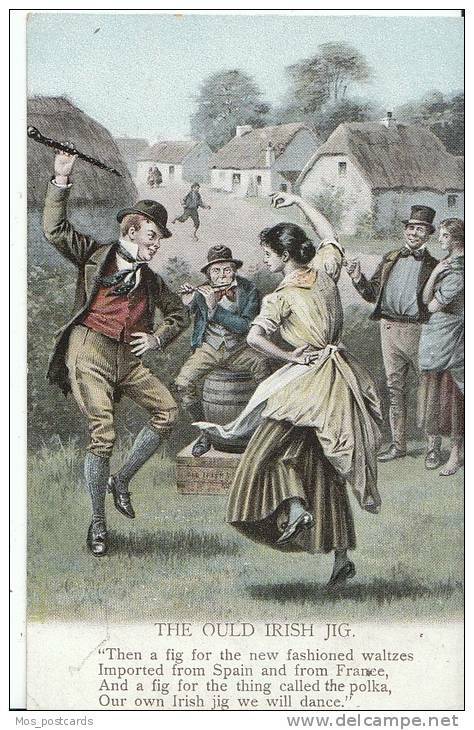 It survives today as the “Single Time” dance in County Clare or the “Maggie Pickie” in Donegal. More flamboyant male dancers of the Single Jig incorporated complex “baton twirling” movements into the dance which they performed above their heads with their bata or blackthorn walking stick. This could also involve the rapid passing of the stick between the dancing legs, reminiscent of the modern Brush Dance. These two single jigs were favourites of the legendary piper, Séamus Ennis. Pat Ward was the famous Drogheda piper who died in 1928 and was a major source of music, skill and information for the developing revival of the pipes in the early 20th century. The original name of Pat Ward’s Jig is The Highlander’s Kneebuckle.